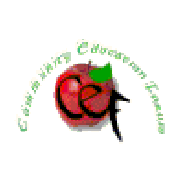 CEF is a grassroots community-led organisation that focuses on developing and delivering community-led projects to support the social, educational and economic needs of disadvantaged children, young people and families. Their client profile is diverse and includes Black, Asian and Minority Ethnic (BAME) communities. We are based in the London Borough of Hammersmith & Fulham and work with clients across London. Their supplementary school helped improved Key Stage attainment for over 60 young people last year in Maths, English and Science. CEF Home-School liaison project supported nearly 50 young people improved behaviour, attendance and attainment in school. Their “Back to Work’ training programme supported 48 parents to find work. They also helped 6 volunteers into employment and their information, advice and guidance service managed over 60 cases in the last year and achieved an 85% success.